Multi drug testing strips are used to test for multiple different types of drugs. Medical Disposables offers a variety of different multi panel drug test that includes 2, 3, 4, 5, 6, 7, 10, and 12 panel drug tests. The most common uses for multi panel drug tests are in correctional facilities and in the work place. Mutli panel drug tests are able to test for multiple drugs at one time, whereas single strips only test for one drug at a time. Each strip that is connected to the panel is dedicated to a single drug. This means that if you have a 5 drug test strips in the multi drug test card you are able to test for 5 different drugs. 12 CLIA Waived panel drug tests are very good for use in staffing agencies, clinical point of care, drug rehabilitation centers and correctional facilities to test for a multitude of possible drug abuses. Our multi panel drug tests work similar to single panel drug tests. You simply dip the multi panel urinalysis drug screen into the collected urine. 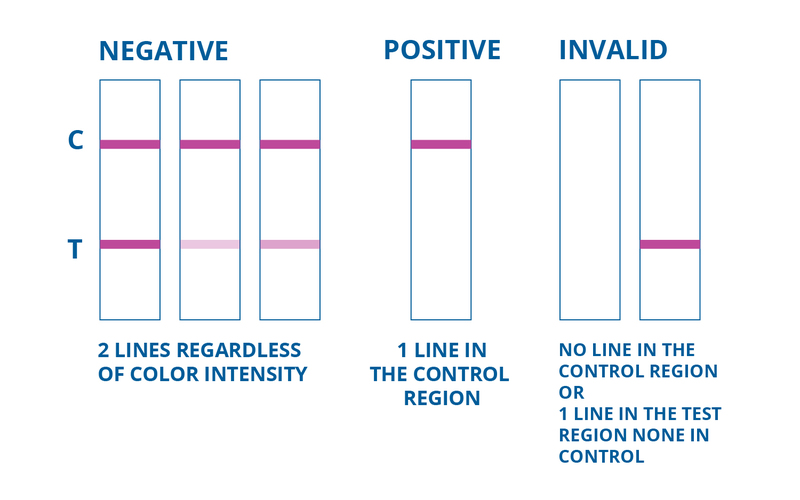 After waiting 5 minutes your results should appear on the multi panel drug test and you will simultaneously test for up to 12 different drugs. If you’re looking for a multi panel drug test you can find what you need at Medical Disposables. Our selection, including the most common 6 panel drug tests, are CLIA Waived approved to ensure only the best quality. Results are quick and with an accuracy rate of 98%, many professionals are turning to this quick and cost-effective way to screen for drug abuse. If you have any questions about our multi-panel drug tests, please contact us right away! Remove the bottom cap from the multi panel drug test card in submerge the drug test strips in the urine. AVOID passing the arrow when submerging the drug test card since this can flood the test and invalidate the drug test card.